This project was based on a tutorial hosted by EnjoyCG. 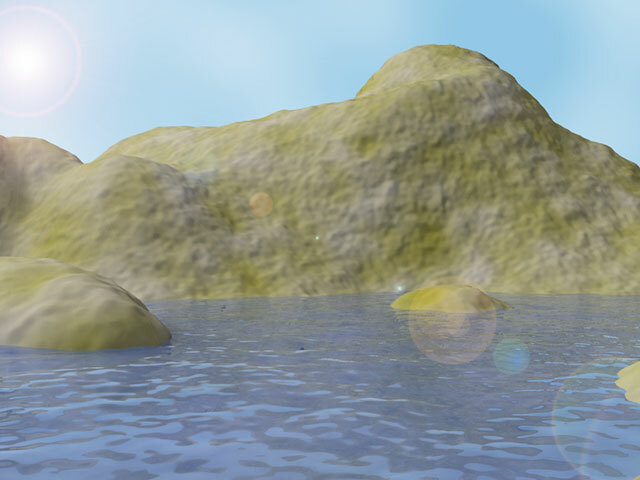 This was my first attempt in creating realistic water, and semi-realistic environment, including atmospheric effect (fog). There are no textures used, all texturing was done procedurally. The lens flare was added in post-production in Photoshop.